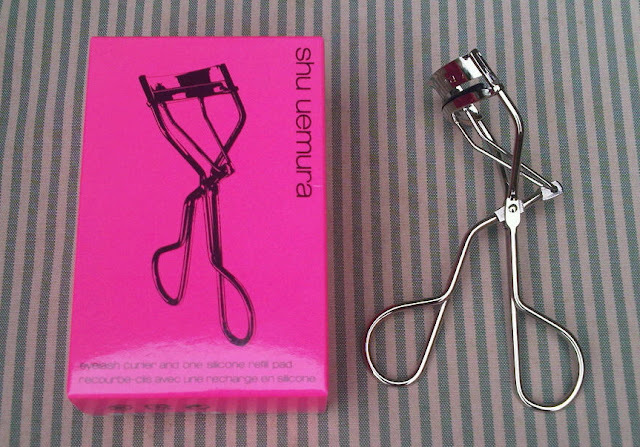 I've never been a slave to eyelash curlers, mainly because I've never thought they were particularly good. However, that was before Shu Uemura's famed pair graced my makeup bag. I picked these up in Liberty. The sales assistant let me have a go with a pair to see if they suited me and their effect was immediately apparent. Lashes like you wouldn't believe! Far superior to all the cheap pairs I've gone through over the years. They cost £20 but I hope to have them a long time. Update: It's now the day after I took these photos. 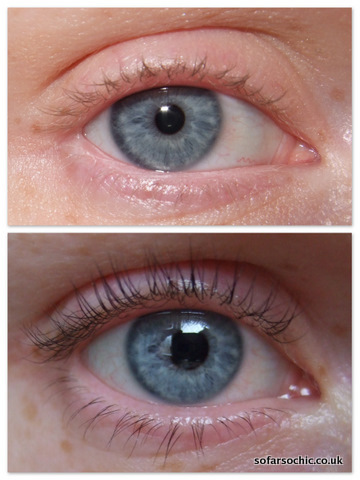 I wore no eye makeup yesterday; my right eye's lashes are still perfectly curled. Acers! I love these too. I feel like mascara helps hold the curl a bit, I usually use the wand to push the lashes back a bit if that makes sense! Thanks for a great post - I also have very pale lashes & have been considering investing in these lash curlers! @Becky - Maybe it's my Rimmel Lash Accelerator at fault then! 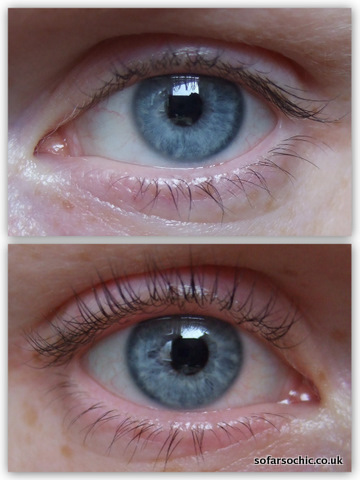 @Jan - I am tempted to keep the lash tinting up - it's only a tenner. Thanks for the lovely comment as always! 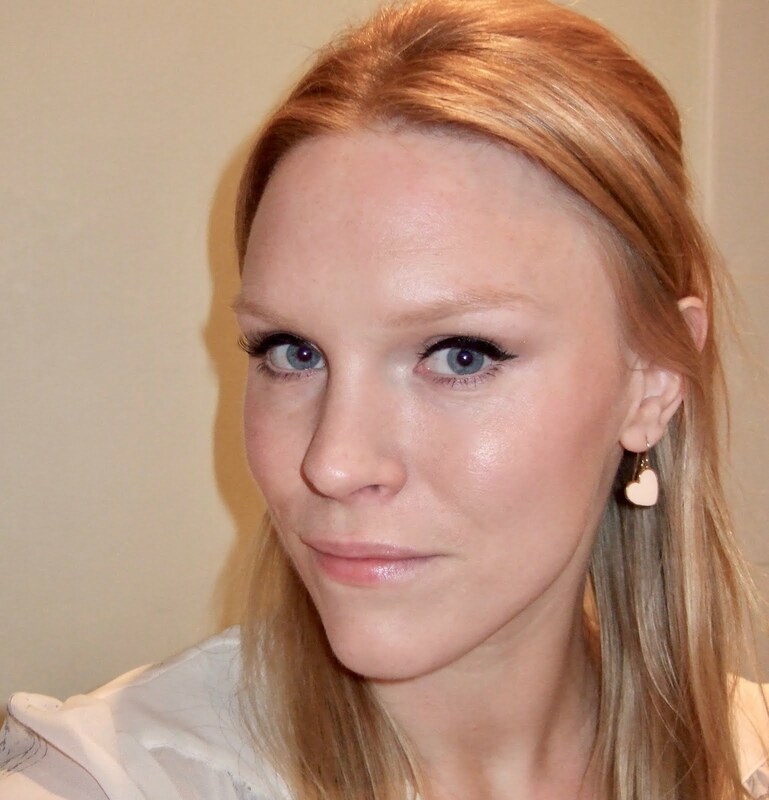 @Strawberry Blonde - I do think they're pretty amazing, although my outer corner lashes can look a bit 'crimped'. They sell another mini pair specifically for them (which I will not be buying)! I've heard the Kevyn Aucoin eyelash curlers are excellent too.